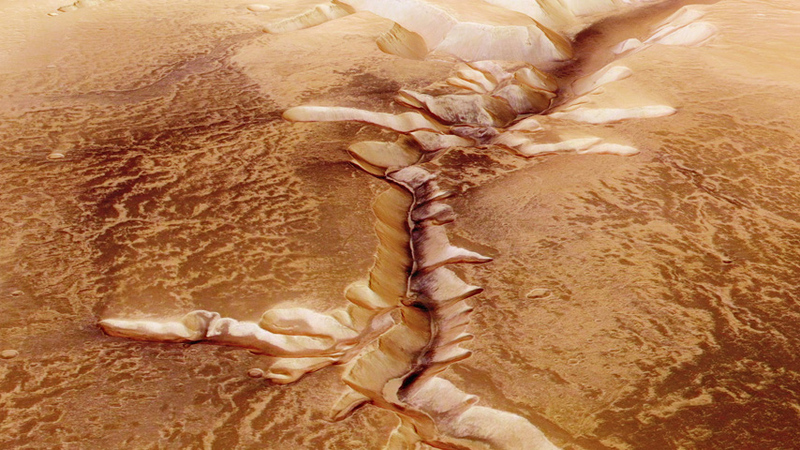 We know that Mars once had a landscape with oceans and rivers, but what happened to it? Although Mars is a freezing dry world today, it is thought the planet was once like Earth. If liquid water once existed on Mars, ancient life could be suspended in ice. In 2001, the Mars Odyssey spacecraft used cosmic rays and gamma rays to detect hydrogen beneath the surface of Mars. The discovery of hydrogen on Mars suggests a vast frozen ocean, which might once have been partially liquid. Since the Viking missions in the 1970s, exciting clues in the search for life on Mars, have emerged. The reason for this excitement is water.